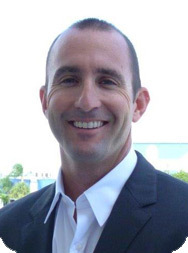 Yacht Broker Stephen Faraldo : Atlantic Yacht & Ship, Inc.
As a native “Key West Conch,” Stephen Faraldo grew up fishing and diving on the water’s off Key West, Florida where his love for the ocean began. After attending college (BS in Business Administration), Stephen returned to Key West and obtained his USCG captain’s license and later became a professional guide. He owned and operated a charter boat business in Key West for 8 years and was sponsored by Mercury Marine through their guide program. Now partnered with Atlantic Yacht and Ship, Stephen works closely with clients to accommodate their needs so their sale or purchase will be a positive experience. Stephen holds to the mantra that service before and after the sale or purchase is the key to building lasting relationship with clients. So in addition to a strong support staff at AYS, Stephen is also partnered with a solid network of experienced finance agents, surveyors, mechanics, yacht management companies, shipping agents and documentation companies to fill any ancillary need that might arise. Stephen’s cell phone is always on so let him help you spend more time on the ocean and never miss the most important meeting of the day.